You've probably seen this little beauty of a box making the rounds over all the British beauty blogs recently, but with very good reason. 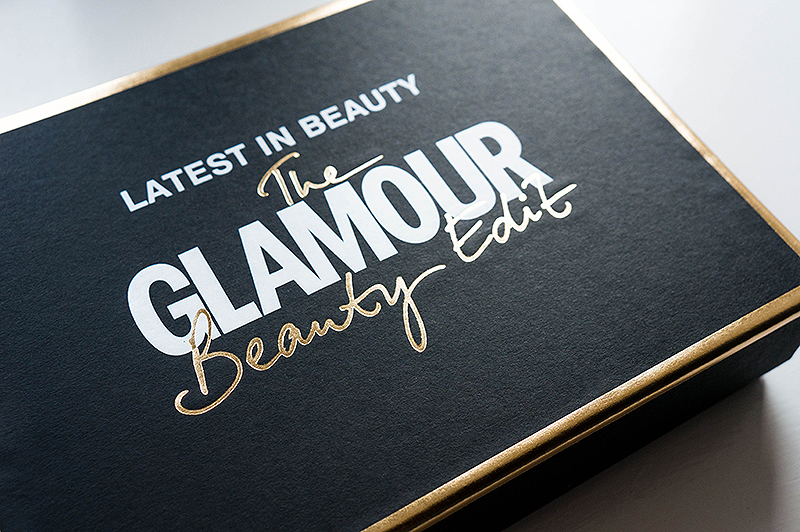 I have never invested in a beauty box subscription before, but when I heard about Latest in Beauty teaming up with GLAMOUR to create this stunning Beauty Edit Box, I couldn't pass up the £14.95 to have one of my own. Especially when the contents are worth £65! 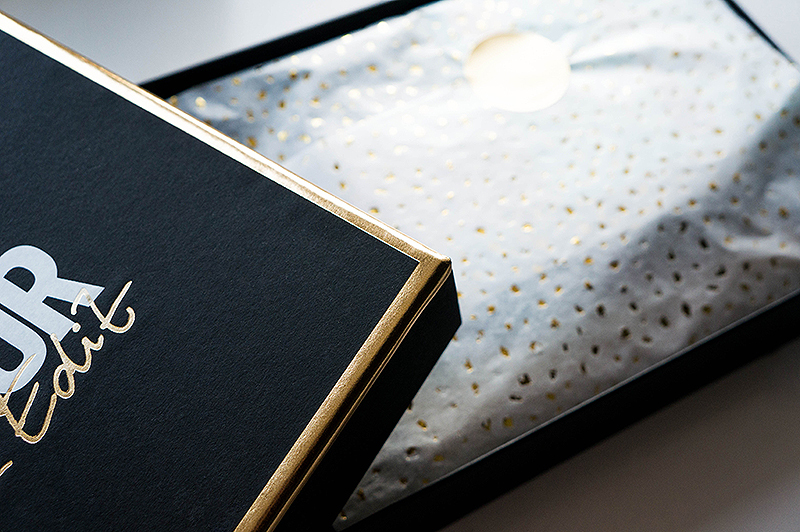 So just what's in this heavenly box? You get a handy set of Eyeko Lash Curlers, perfect for those that haven't taken the plunge with the infamous Shu Uemura set and are looking for a good alternative. Achieving a steadfast curl that lasts the night is quick and easy, and you've got to love the blue velvet handles for the ultimate in luxury. Next up you've got the sample sized Benefit They're Real! Mascara, which is a personal favourite! I have bought this mascara previously and it's currently my go-to for creating full bodied lashes that are long as well as full of volume. I have to mention the little ball on the end of the wand that makes reaching those little lashes all the more satisfying. The next product is HD Brows Eye & Brow Palette, which is the main reason I invested in this box from the outset. I've ogled this palette for some time, but didn't know if I was going to get along with it, but the long-lasting, anti-smudge powders are worth the cost of the box alone! Another handy product that I was looking forward to trying was the Balance Me Radiance Face Oil. It plumps, smoothes and gives skin a real glow; all to be expected from an award winning beauty product! You've also got the Philip Kingsley One More Day Dry Shampoo, which is a complete lifesaver when you need to go that extra day without washing your hair but just can't face the outside world. I would even use this just to add a little texture to just washed hair, it's wonderful for transforming limp and lifeless tresses. There is of course a lip treat included in the form of Maybelline Baby Lips. I have a grape fragranced one and was happy to add another to my collection. Who doesn't like a lip balm that touts long hydration, SPF20 and a kick of colour? Lastly, there was a mini size Toni & Guy GLAMOUR Firm Hold Hairspray. The ideal size for popping in your handbag for touch-ups on the go. It smells quite nice for a hairspray, and the hold is long lasting, while easy to style. Did you invest in the Latest in Beauty The GLAMOUR Beauty Edit Box? What did you think of it? This box was well worth the £15! That is such a great price for so many lovely products! I'll have to see if I can spot the Eyeko Eyelash Curlers somewhere because I've been looking to get the Shu Uemura or Shiseido ones but they're just so pricey! I got my Shu Uemura eyelash curlers from eBay in the end. Might be worth checking there. Some wonderful things in this box! Definitely why I invested. I loved that I could see just what I was buying first, and knew I had to have it. This box is amazing, I wish I bought it or put it on the Xmas list hehe. Balance me radiance oil is one of my favs. I have used everything in here almost daily. The HD Brow kit is seeing a lot of use! Wow, everything in this box is really great! I love beauty subscription boxes and would love if this was available in the US. You should check out Wantable, they have a fab system where you get products matched to what you like. I was so tempted to get this but I behaved, if another one as good as this crops up I can't say I will be as strong willed the second time around. I have wanted to brow kit for such a long time that I felt it justified. Not sold on the latest one though as I'm not the biggest fan of the Miss Manga Mascara. I'm usually very underwhelmed when I see posts about beauty boxes but this one genuinely looks really good! It really is! When I saw this cropping up on a few peoples instagrams, I knew I had to have it! Worth the money alone, definitely. lucky you getting the balance me oil in there, i've been wanting to try that for a while. 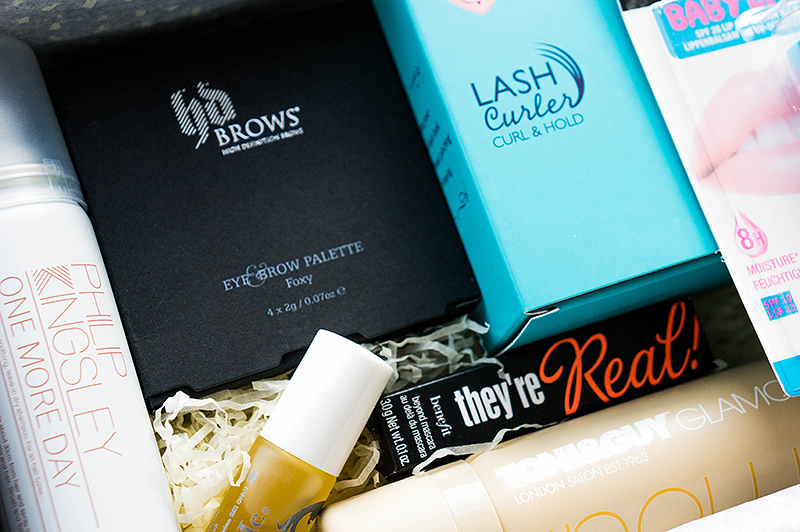 that looks like a really great beauty box! i've subscribed to a few in the past but i've always found them disappointing but this one looks really good. Some beauty boxes seem like they just give away overpriced samples that you could most likely get for free over the counter. This had a lot of weight behind the fact that there were full size products in there too. Oh no! So sorry, they do have another box by GLAMOUR up now that you might like? I usually think the same. Especially when you don't know what it is you're going to get! But with this everything is 100% transparent, and that's why I went for it. You've got a new follower here - can't wait to read through some of your older posts. Thanks Ellis, that's really kind. Let me know what you think of some of my previous posts.